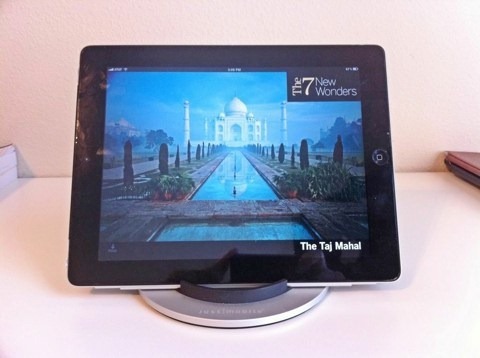 The first time I saw the Just Mobile Encore iPad Stand, I knew it was one that I definitely wanted to try out. I thought it looked elegant and promising – and happily it has turned out to be both, in spades. 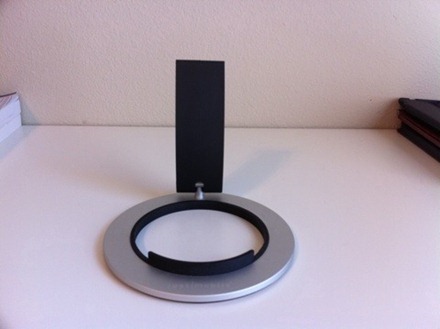 Designed by the award-winning team at tools®, the Encore™ features a solid aluminum base ring and hinged arm. 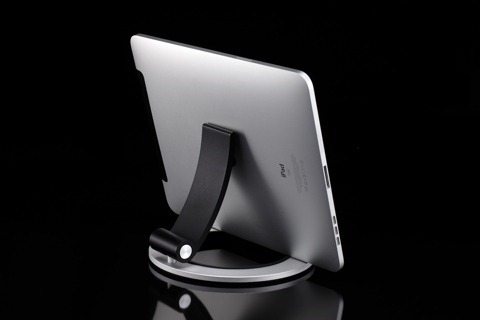 Adjust the arm to choose the perfect viewing angle for videos, or fold it down for rock-solid typing support. This is the lowest standing desk stand I’ve used for the iPad, and quite lightweight as well. 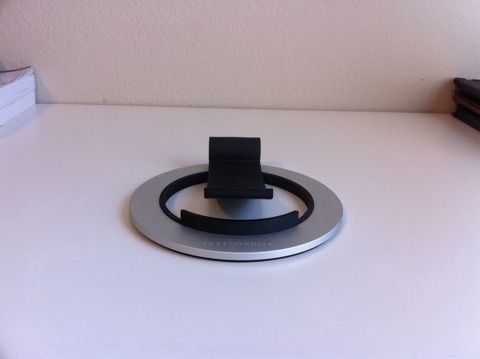 — This is a very handsome stand – it looks great on a desk or wherever it gets used. — The design is very clever. The rubberized arm has a very good range of positions and is super easy to adjust quickly between positions that are ideal for viewing or typing. — The arm folds down quite flat – so it is a very portable stand. Not ‘put in your pocket’ portable like the Compass Mobile, but very light and small enough to easily fit in a small messenger bag or just carry in your hand. — It takes up very little space – so it’s easy to shift it around on a desk or wherever you’re using it. — Despite its diminutive stature, it’s a very, very solid case. The iPad feels good and secure in it in both landscape and portrait positions. 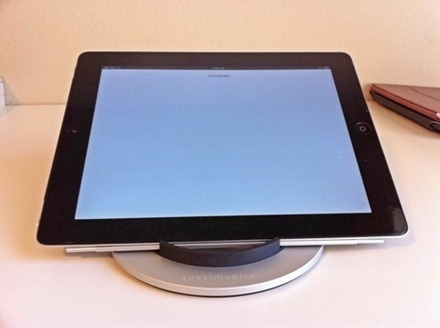 — It’s the first iPad stand I’ve seen that seems equally capable as a desk and portable stand. That’s a very nice feature. I had high hopes for this stand, and I have not been at all disappointed. This is my new favorite iPad stand, the one I’m using every day on my desk, and one that I feel happy about taking out and about as well. It’s great looking, very well designed, and uniquely versatile. Disclosure: This accessory was independently purchased by the post author. For further information regarding our site’s review policies, please see the "About" page.